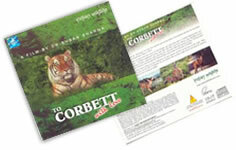 IndianWildlifeClub.com has produced a number of documentary films on wildlife, nature and cultural heritage under the banner"Wildbytes.tv". All these films have been given 'educational' category certification by the Censor Board and have also been exhibited and acclaimed in international documentary film festivals. Our films have been telecast by Gyandarshan, the educational channel of IGNOU. India International Centre, New Delhi, India Habitat Center, New Delhi, Siri Fort Auditorium, New Delhi, Nehru Centre, Mumbai, Y.B Chavan Auditorium, Mumbai and Sofia College Auditorium, Mumbai, Mumbai International Film Festival, Delhi International Film Festival, Dhan Festival, Madurai are some of the locations where the films have been screened. We have uploaded the full documentaries in our You Tube channel Wildbytes and can be viewed on mobile phones as well. The film looks at the wilderness of the Himalayan region. 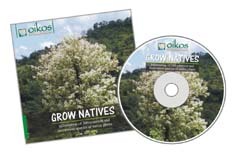 The CD contains information about 300 native plants.